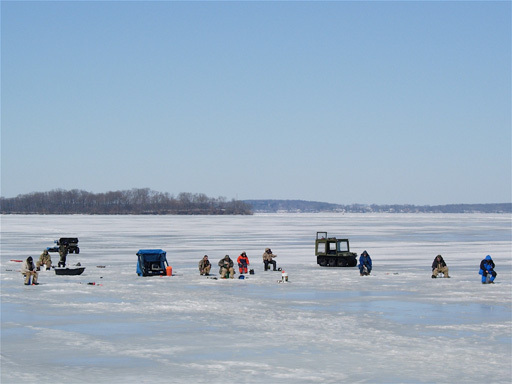 Biocomplexity project team beach seining to obtain population estimates of bluegill and young-of-the-year largemouth bass to determine the impact of coarse woody habitat on fish communities. Study site: Camp Lake, Northern Highlands Lake District, Wisconsin. 2007. Danielle Haak. Lakes are foci of ecological, economic and social processes on many landscapes throughout the world. 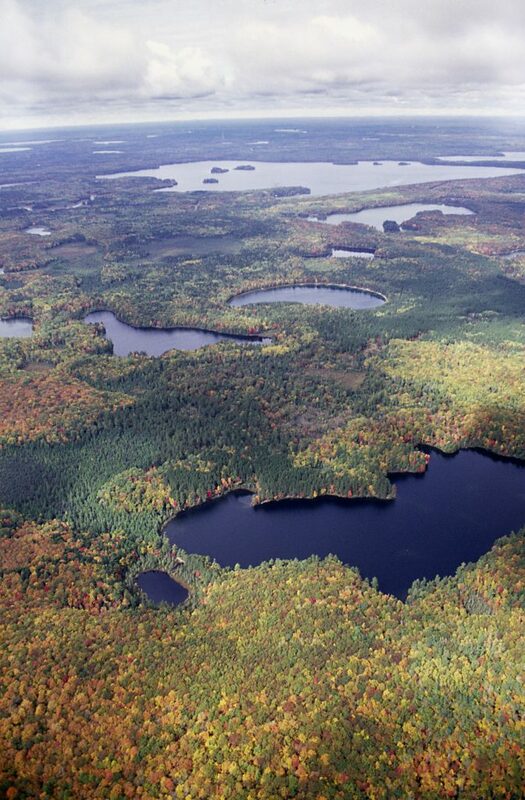 Small, inland lakes, such as those prominent throughout the Great Lakes region of North America, play a central role in regional hydrologic and biogeochemical cycles, ecological processes, and a wide range of human activities. Over the past two centuries, deforestation, fire suppression, agriculture, industrialization, tourism, and urbanization have transformed landscapes within the region and fundamentally altered the interactions between lakes and their surroundings. For the next century and beyond, the quality of life and the economies of the region will depend upon the quality of the lakes. 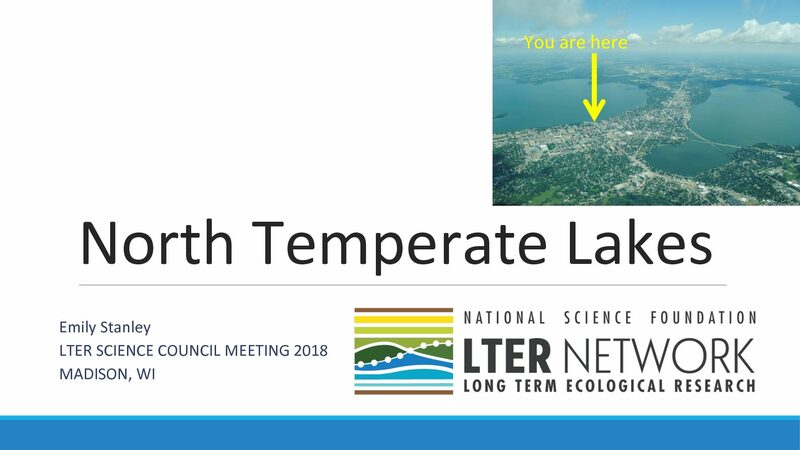 The North Temperate Lakes Long-Term Ecological Research (NTL LTER) program seeks to understand the long-term ecology of lakes and their interactions with terrestrial, atmospheric, and human processes. Our overarching question is: How do biophysical setting, climate, and changing land use and cover interact to shape lake characteristics and dynamics over time (past, present, future)? Our conceptual framework considers lakes as interactive components of their environment. As collectors of water, energy, and solutes from the landscape and atmosphere, as habitats for aquatic biota, and as attractors of human activities, lakes affect and are affected by natural and human-induced changes in the local and regional landscape and atmosphere. Our perspective extends from analyses of the past (especially the past 150 years of recorded history but also including paleoecological records), through the present, to forecasts of the next 50 years of change in the landscapes and the lakes. We employ a nested set of spatial scales including individual lakes, multiple neighboring lakes, entire lake districts, the Upper Great Lakes region, and lakes of the northern hemisphere. Within the context of this conceptual framework, our program has five inter-related goals. 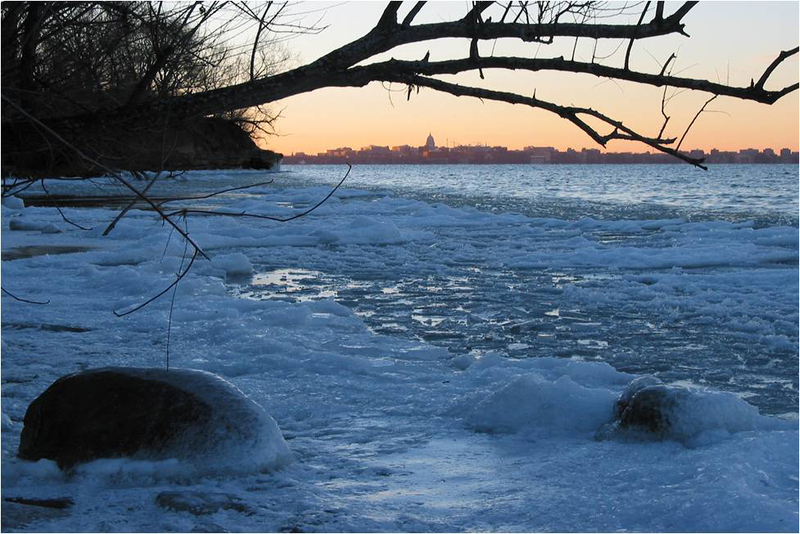 (1) Perceive long-term changes in the physical, chemical, and biological properties of lakes. This goal includes the collection and management of our core datasets. Most of the research we describe depends on these continually evolving, long-term datasets. We are adding three new long-term core datasets: (i) land use and land cover change in the watersheds of our primary study lakes; (ii) human populations and socio-economic characteristics in these core watersheds; and (iii) daily archives of MODIS satellite imagery covering Wisconsin. (2) Understand the drivers of temporal variability in lakes and lake districts. The growth of our long-term database has created several unique opportunities for understanding long-term change in lakes. Five topics have emerged as particularly promising at this stage of the project: (i) dynamics of algal blooms, (ii) patterns in ecosystem production and respiration, (iii) the association of productivity and diversity in lake plankton, (iv) long-term change in the balance of littoral and pelagic processes in lakes, and (v) patterns of fish recruitment. (3) Understand the interaction of spatial processes with long-term change. Lakes are connected dynamically to surrounding landscapes. Long-term change in lakes may depend upon the spatial arrangement of these landscape mosaics. 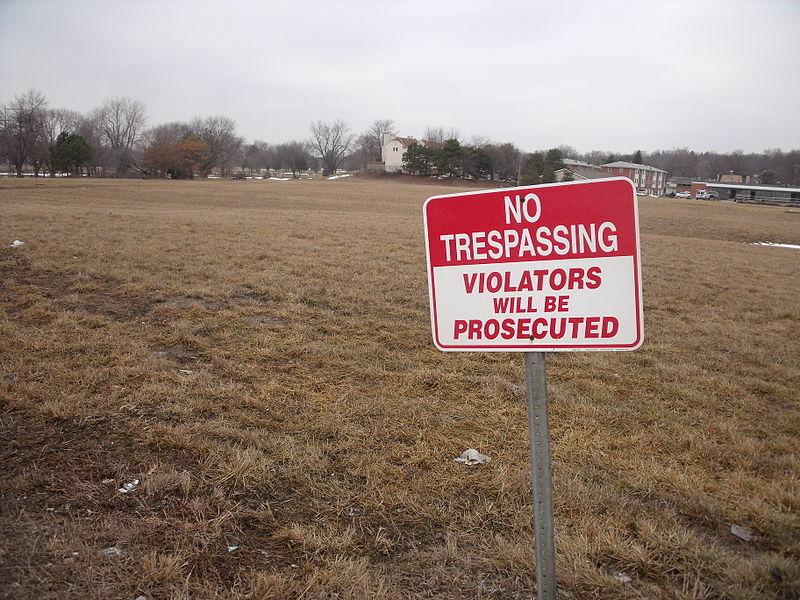 We address three questions in this area. (i) Over what scales of space and time are spatial dependencies important in determining lake characteristics and dynamics? (ii) How do climate, geologic setting, and land use/cover change influence water and solute loading to lakes? (iii) How does spatial positioning of lakes influence their value to humans? (4) Understand causes and predictability of rapid, extensive change in ecosystems. Some ecological changes are rapid and extensive. Such big changes can be difficult to understand or anticipate. Yet understanding the mechanisms underpinning thresholds or regime shifts is a key need for forecasting future change. Our data sets have grown to the point where we can carefully evaluate certain types of big changes. We have selected three for analysis during this grant cycle: (i) eutrophication, (ii) ecosystem consequences of species invasion, and (iii) changes in angler-fish interactions as lakeshores switch between public and private ownership. (5) Build a capacity to forecast the future ecology of lake districts. In coming decades, landscapes and lakes will exhibit complex responses to changes in climate, land use and cover, biota, and human activities such as riparian development and fishing. We will develop methods for forecasting changes in temperate lake districts, as both an emerging research frontier and as a mechanism to generate hypotheses for future long-term research. This research, which is a new theme for NTL LTER, will address two questions. (i) How might climatic, geochemical, ecological, and socioeconomic drivers of the lake districts change in the next 50 years? 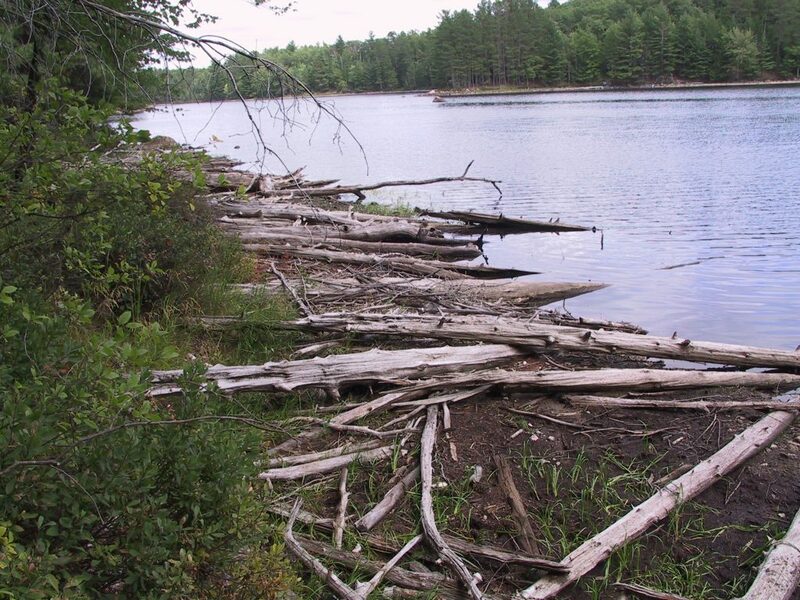 (ii) How could these changes affect hydrology, biogeochemistry, and ecology of the lakes? In addressing these five goals we use a variety of approaches including long-term observations, small- and large-scale experiments, comparative studies, and process modeling. We address this question through five inter-related goals: 1. Perceive long-term changes in the physical, chemical, and biological properties of lake districts 2. Understand the drivers of temporal variability in lakes and lake districts 3. Understand the interaction of spatial processes with long-term change 4. Understand the causes and predictability of rapid extensive change in ecosystems 5. Build a capacity to forecast the future ecology of lake districts We examine patterns, processes, and interactions of lakes, landscapes and people at four spatial scales: individual lakes, small drainage systems with several lakes, entire lake districts, and the Western Great Lakes region of North America. Temporally, we consider scales from a fraction of a day to decades. We use multiple approaches of long-term observation, comparison across ecosystems, experimental manipulations, and process modeling. We specifically address decadal forecasts of ecosystem change, which become the hypotheses for future long-term research. Our interdisciplinary research group includes ecologists, hydrologists, climatologists, chemists, demographers, an economist, rural sociologists, and specialists in remote sensing and information management. We expect our research to produce new conceptualizations of lake district dynamics. Among these are new insights on the dynamics and impacts of invasive species, understanding of the role of spatial location of lakes in landscape dynamics, the reflexive interactions of human and ecological processes, and the interactive effects of geomorphic setting, climate and human activity on long-term change in lake districts. 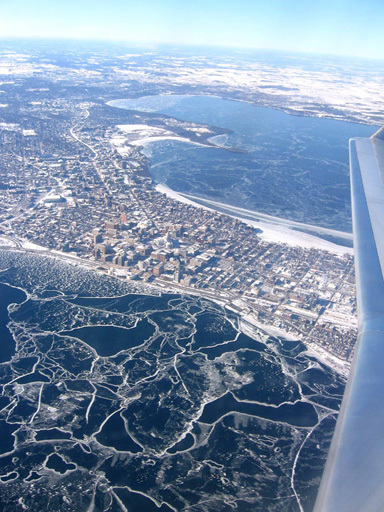 The understanding of integrated landscape-lake-social systems developed through our LTER program will be useful in decisions of individuals and institutions concerned with the future of the Western Great Lakes region and the welfare of its residents. 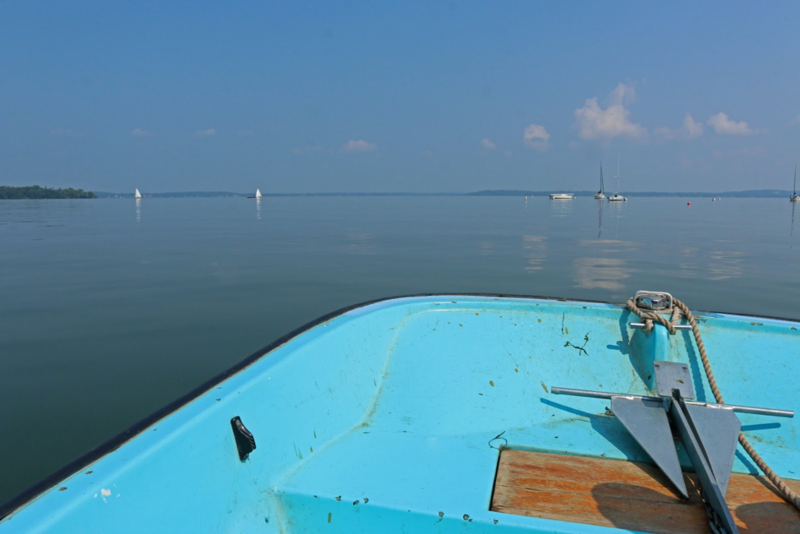 Our two field stations facilitate research in the lake districts - the Limnology Laboratory on Lake Mendota in the Yahara Lake District of southern Wisconsin and the Trout Lake Station in the Northern Highlands of Wisconsin. Our data are public and available through this web site. Most of our data sets date to 1981 when this site became one of the first 6 LTER sites funded by the U.S. National Science Foundation, but several originate as early as the 1850s or as late as the mid 1990s. We invite collaboration with others. 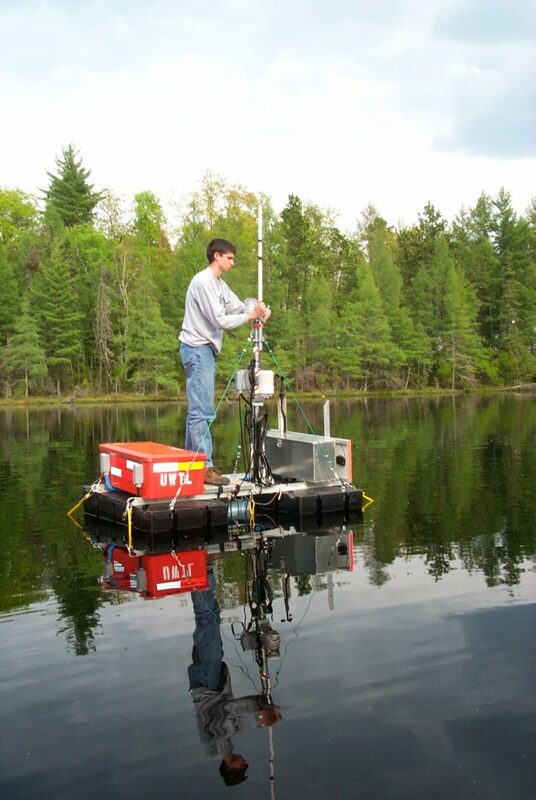 Over the years since 1981 we have designed and implemented a balanced and integrated data collection program (online data catalog at http://lter.limnology.wisc.edu/catalog.html). 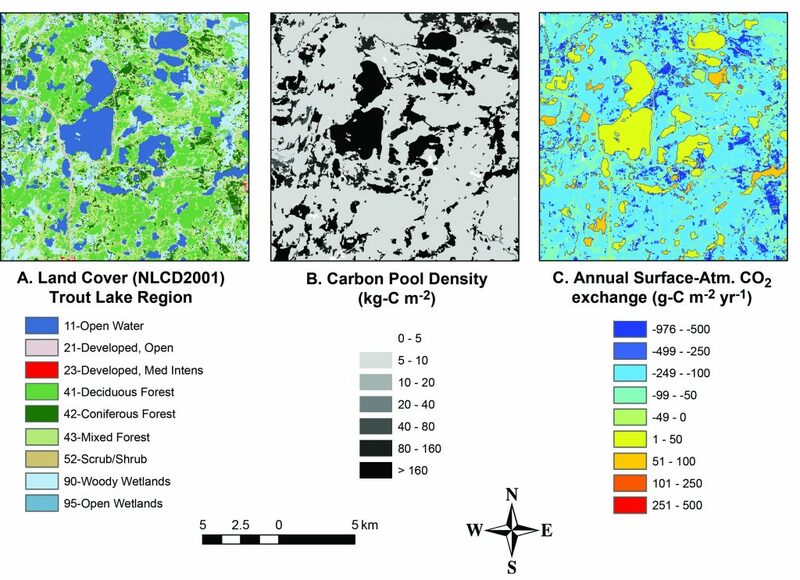 We selected lakes and measurements to address important interdisciplinary questions regarding the ecology and management of lakes from a long-term perspective at individual lake, multiple lake, lake-district and regional scales. We focus our data collection on two sets of lakes and their surrounding landscapes. 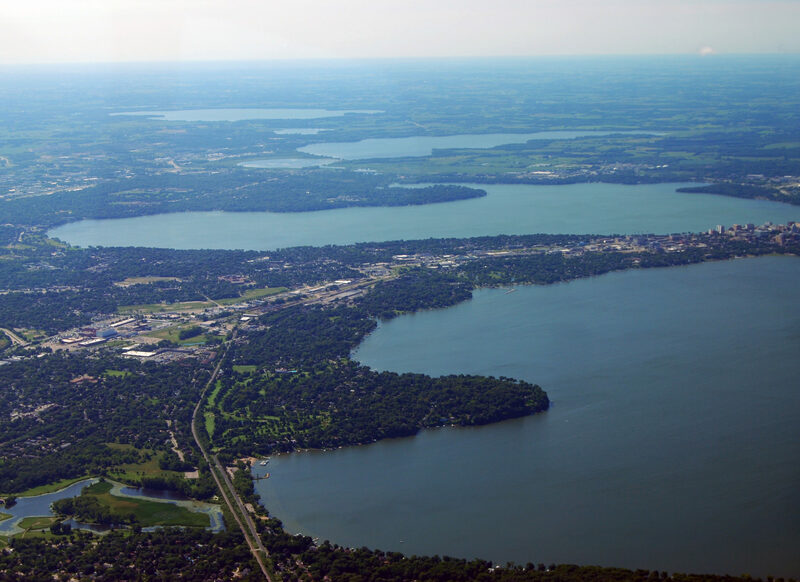 One set is in the forested and tourism-dominated Northern Highland Lake District in northern Wisconsin, the other is in the agricultural- and urban-dominated landscape in and near Madison in southern Wisconsin. 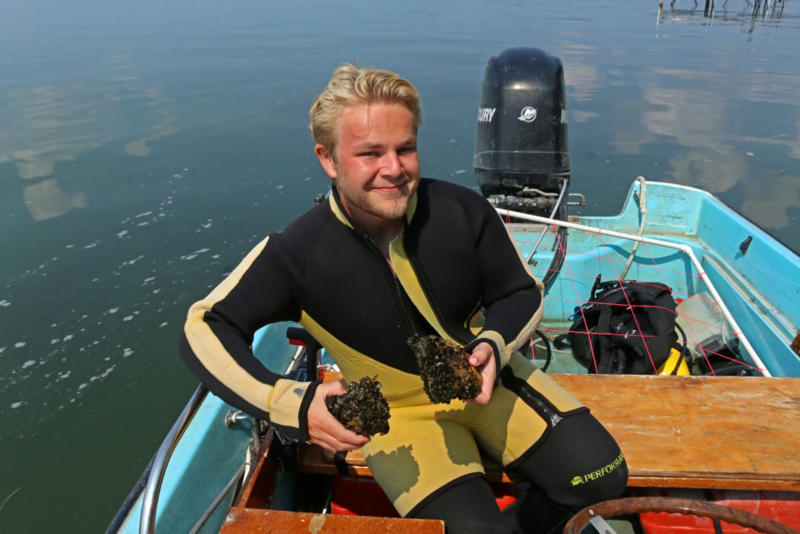 Both regions have a substantial history of ecological research dating back to about 1900. 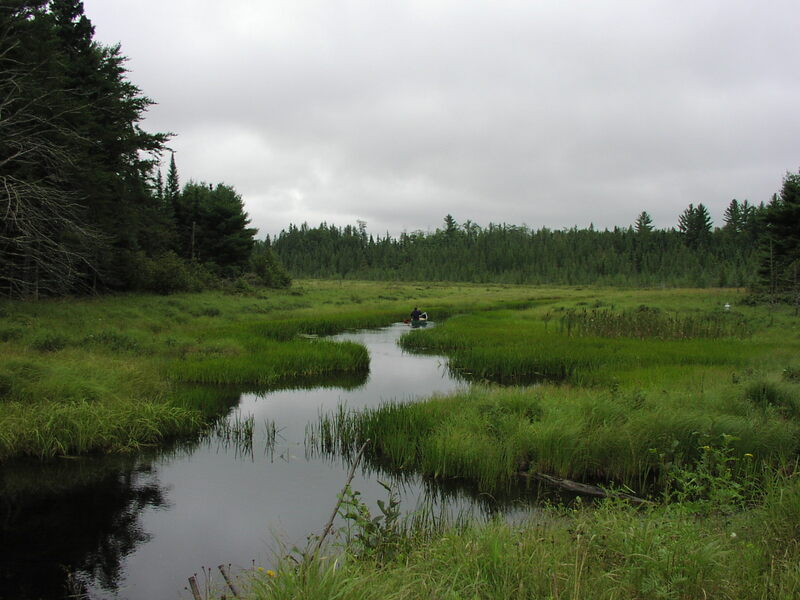 In northern Wisconsin, beginning in 1981, we focused on a suite of seven primary lakes and surrounding terrestrial areas linked through a common groundwater and surface water flow system and sharing a common climatic, edaphic, and biogeographic regime. The lake set includes oligotrophic, dystrophic, and mesotrophic lakes chosen to represent marked differences in size, morphometry, habitat diversity, thermal and chemical features, species richness and assemblies, and position in the groundwater flow system. In 1994, we added four primary study lakes in southern Wisconsin. 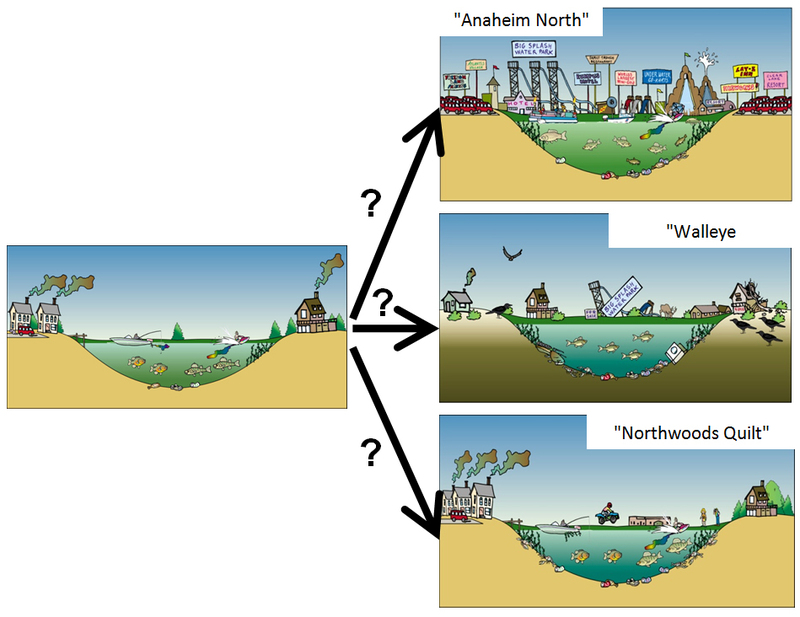 These four eutrophic lakes were chosen in a 2x2 design of urban vs. agricultural setting and headwater vs. lower in the landscape. Substantial historical data are available on these lakes. In addition to the primary lakes we also have a set of secondary lakes for which less complete information is collected. These lakes are used for comparisons with primary lakes on specific research questions. 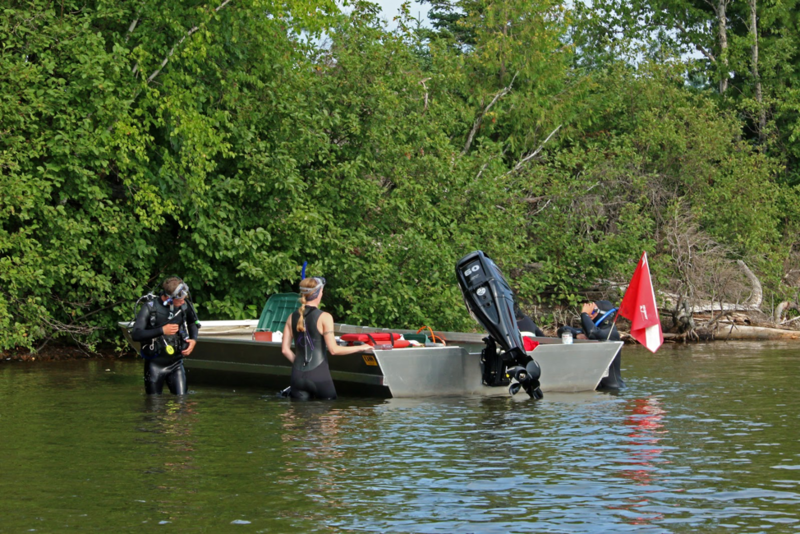 We also collaborate with two Canadian groups with similar data on two other lake districts, the Experimental Lakes Area in western Ontario and the Dorset Research Centre in eastern Ontario. Collectively, the data and research programs at these four lake districts afford a unique opportunity for analyses of the Western Great Lakes region. Our sampling program allows comparisons of parameters and processes among seasons, years, lakes, and lake districts. We sample most major physical, chemical and biological components with sampling frequencies tuned to the dynamics of individual parameters. We sample most intensively at four key times of the year: spring overturn, maximum stratification in summer, fall overturn, and winter stratification. Complete cation-anion balances are determined at these times. 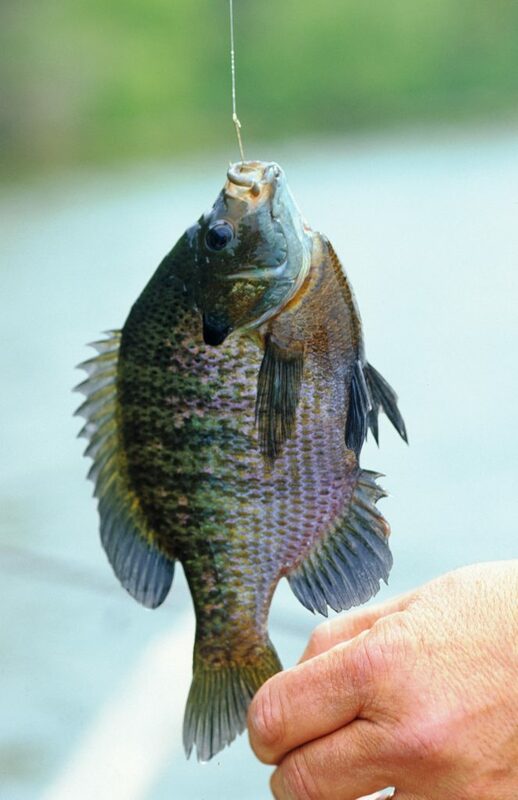 Nutrients, pH, inorganic and organic carbon are sampled every two or four weeks, depending on the lake and the nutrient. 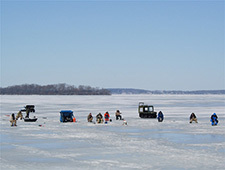 Temperature, dissolved oxygen, chlorophyll a, light penetration, and zooplankton abundance are sampled every two weeks during the open-water season and every five weeks under ice cover. 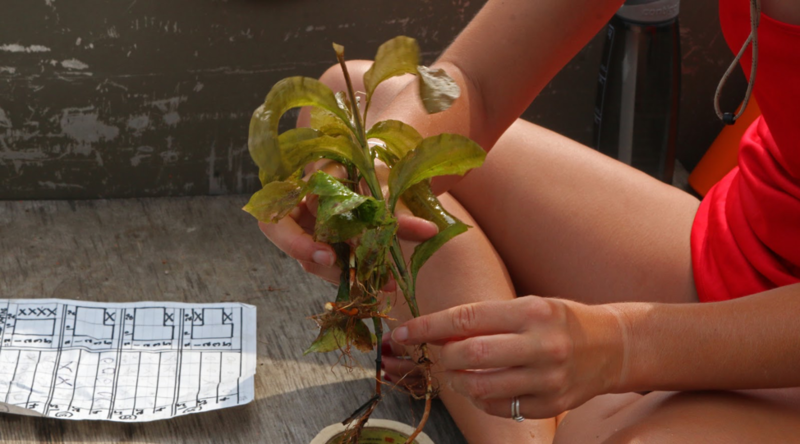 Primary production rates are measured every two weeks from selected lakes and samples for phytoplankton community composition are collected six times throughout the year. Parameters that vary over longer time scales are measured annually in August. These include macrophyte distribution and abundance, fishes (abundance, biomass, and community structure), and benthic invertebrate abundance. Groundwater levels in selected wells are measured monthly and groundwater chemistry from a subset of these wells is measured annually. We have a series of instrumented buoys on selected primary lakes, including a raft on Sparkling Lake for measurements of evaporation, wind stress, and high-resolution thermal structure, and an instrumented buoy on Trout Lake for vertical profiling. 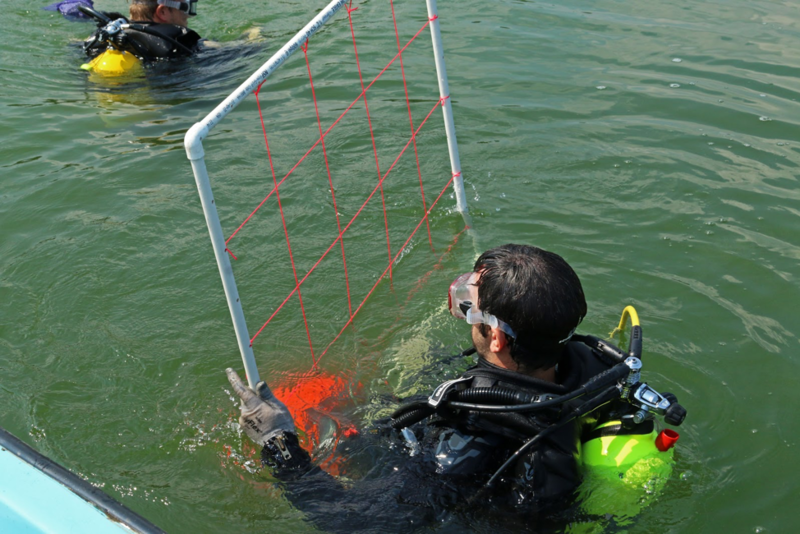 We plan to develop and deploy small buoys measuring pCO2, oxygen, and water temperature for estimates of gross primary production, respiration, ecosystem productivity, and carbon flux to the atmosphere on each primary lake. In addition, we maintain an automated land-based weather station at the local airport 10 km from Trout Lake. We have access to National Weather Service data from the Madison airport. 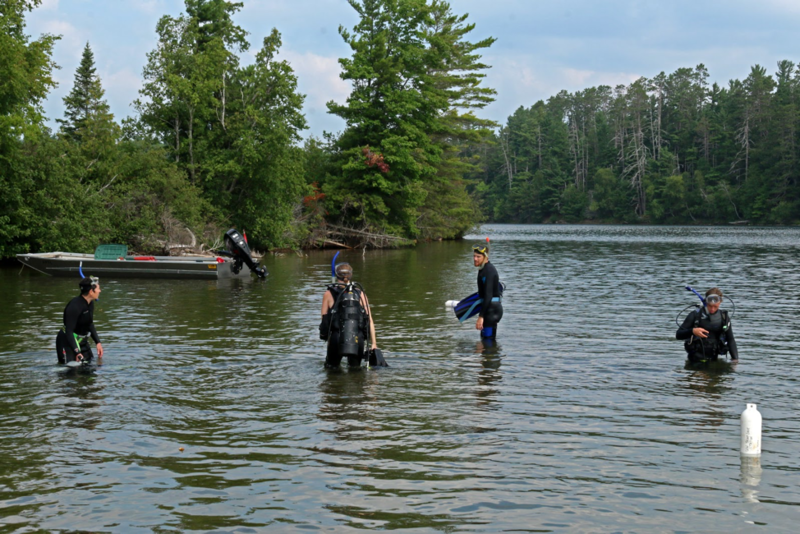 In addition to providing comprehensive limnological data, this sampling program positions us to detect invading exotic species in our primary lakes. Potential new invaders include many European species that have reached the Laurentian Great Lakes (www.seagrant.umn.edu/exotics/index.html). These large lakes now act as a nearby source of colonists including fishes (ruffe, rainbow smelt, rudd, round goby, etc. ), zooplankton ( Bythotrephes cederstroemi, Eurytemora affinis, etc. 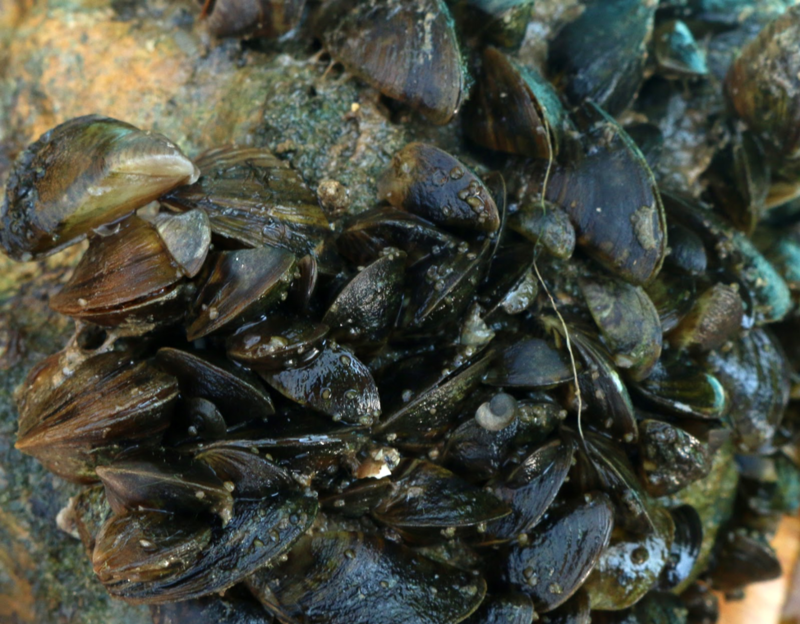 ), molluscs (zebra mussels, fingernail clams, and a variety of snails), a macrophyte (Eurasian watermilfoil), and a highly toxic cyanobacterium now invading North America ( Cylindrospermopsis raciborskii). 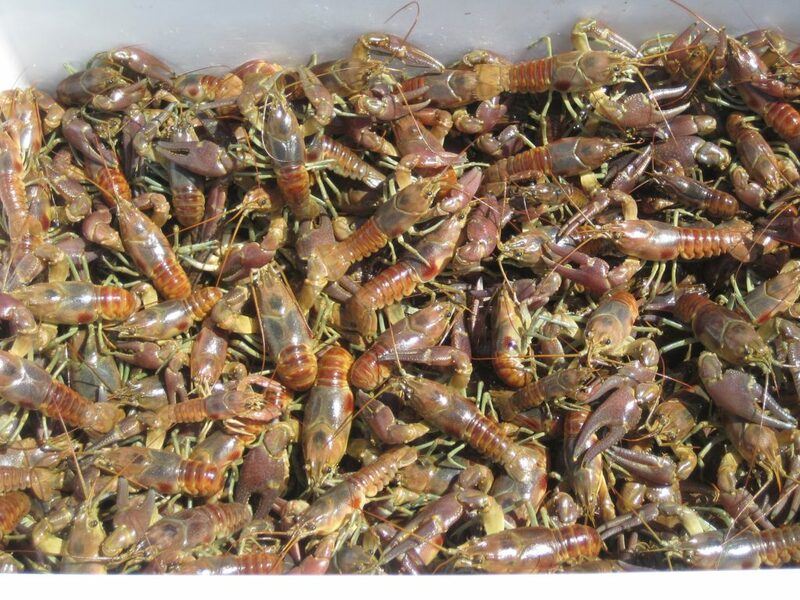 We have designed our sampling so that introductions of these or other invading species will be discovered early and we can implement specific research activities to understand consequences of these introductions. To provide basic information about the terrestrial landscapes surrounding our study lakes, we have developed a geographic information system that includes data layers on land use/land cover, soils, topography, roads, and other landscape features. We have a particularly strong foundation of spatial data on land use and land cover, including a statewide pre-settlement vegetation database; detailed, large-scale historical land use/land cover databases from the 1930’s, 1960’s, and 1990’s for watersheds or riparian zones of selected study lakes; and the statewide WISCLAND land cover database. We maintain an extensive archive of airborne and satellite imagery for both the northern and southern lake regions. The core of this archive consists of Landsat Thematic Mapper (TM) and Enhanced Thematic Mapper Plus (ETM+) images from 1984 to the present. Other image data sources available to researchers at the NTL site include the EO-1/Advanced Land Imager and Hyperion imaging spectrometer, highresolution (1m to 4m) IKONOS images for the Madison and Trout Lake areas, daytime and nighttime thermal images from ASTER, the NASA ATLAS airborne multispectral and thermal scanner, and the Shuttle Imaging Radar-C (SIR-C) system.